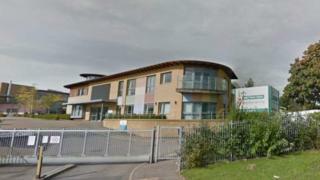 An "inadequate" specialist school run by a charity for the blind is being investigated after serious concerns were raised about safeguarding. The Charity Commission has opened an inquiry into safeguarding at the Pears Centre in Coventry. The Royal National Institute of Blind People (RNIB), which runs the school, said there has been an allegation of "potentially abusive practice". It faces going into special measures after an Ofsted report in January. The Charity Commission's inquiry was opened on 29 March after fears that the school may have "consistently failed to comply with regulations designed to safeguard and protect vulnerable children". Harvey Grenville, head of investigations and enforcement at the Charity Commission, said: "The incidents and shortcomings at the Pears Centre are deeply concerning. "The first priority of the trustees of both charities must now be to ensure that the vulnerable young people cared for at the centre are protected from harm. "The charities have already taken some immediate steps in order to do so." The RNIB's chief executive, Sally Harvey, resigned after the inquiry was announced. The charity's chair, Eleanor Southwood, said: "We're truly sorry that the level of service we've provided has not been good enough. "We are sorry that we have let down the children in our care and the people who loyally support RNIB. "We are now doing absolutely everything we can to put things right and make sure the young people at Pears Centre receive the very best care and support." The RNIB will also be reviewing the "serious incident" independently, she said.